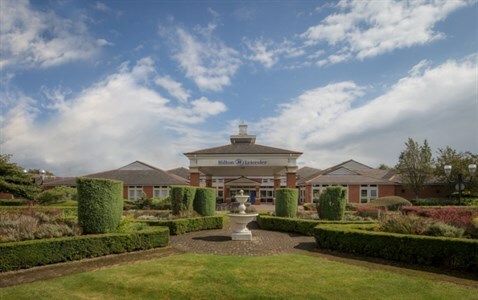 Blaby District Council’s popular Business Breakfast event is returning to the Hilton Hotel, with local businesses and organisations invited to attend. The summer meeting will take place on Thursday 21st June, 8:00am, Junction 21 Approach, LE19 1WQ. Guests will be able to enjoy the free breakfast on arrival. The second Business Breakfast of 2018 will benefit local enterprise in the district. Leicester Employment Hub will be sharing information on their new, impartial service for all businesses in Leicester and Leicestershire. The service helps with all recruitment needs and training opportunities, which is vital for future business growth. There will also be information about the business support grant scheme which is available now for SME’s in the manufacturing sector. There’s also an opportunity to hear from a local business and how they received help to boost turnover. Meetings have continued to remain popular for local businesses, with the event just one way to build the great working relationships across the District of Blaby. Attendees will have a first-hand opportunity to find out the support available from the Council and partner organisations to help achieve strong, sustainable growth. Businesses and individuals are being encouraged to book early and secure one of the limited places. E-mail economicdevelopment@blaby.gov.uk or call 0116 272 7765.